Employees help customers at Sixt's new franchise in Las Vegas. With locations in more than 100 countries worldwide, Germany-based Sixt rent a car has its sights on expanding in the United States. First entering the American market in 2011, Sixt now has more than 30 U.S. locations — about one-third of which are franchises. To help boost its U.S. expansion, Sixt has been seeking to recruit new U.S. franchisees. In January, Sixt Franchise USA, LLC launched its new franchise website. So far, Sixt franchisees have opened locations in Las Vegas, Charlotte, N.C., Myrtle Beach, S.C., Hartford and West Haven, Conn., Weehawken, N.J., Springfield, Mass., and several in Florida, including Tampa. Additional franchises are set to open airport, downtown and local market branches in 2014. These new franchises are helping to expand Sixt’s presence across the U.S. and its territories — from Boston and Las Vegas to San Diego and Puerto Rico. To learn more about its new franchisees, Auto Rental News talked to six rental operators who have recently joined the Sixt U.S. franchise family. Employees at the temporary location of Sixt's new Puerto Rico franchise, while the new flagship Sixt branch is under construction. Serving the island of Puerto Rico, Omar Figueroa has been the owner of an independent car rental company for three years. Figueroa first heard about the Sixt brand when working as a consultant in different rental markets. With six locations in Eastern Massachusetts, family-owned VERC Car Rental has been in business for 35 years. 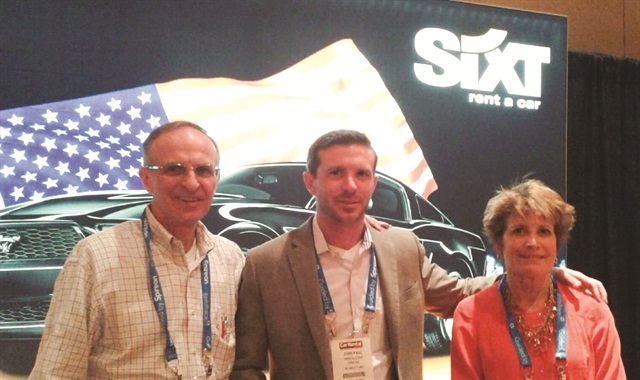 Owner Jack Vercollone was drawn to Sixt after learning more about the company at the 2013 Car Rental Show and visiting its U.S. corporate headquarters in Florida. Michael Black has opened new Sixt franchises in Western Massachusetts and Connecticut. 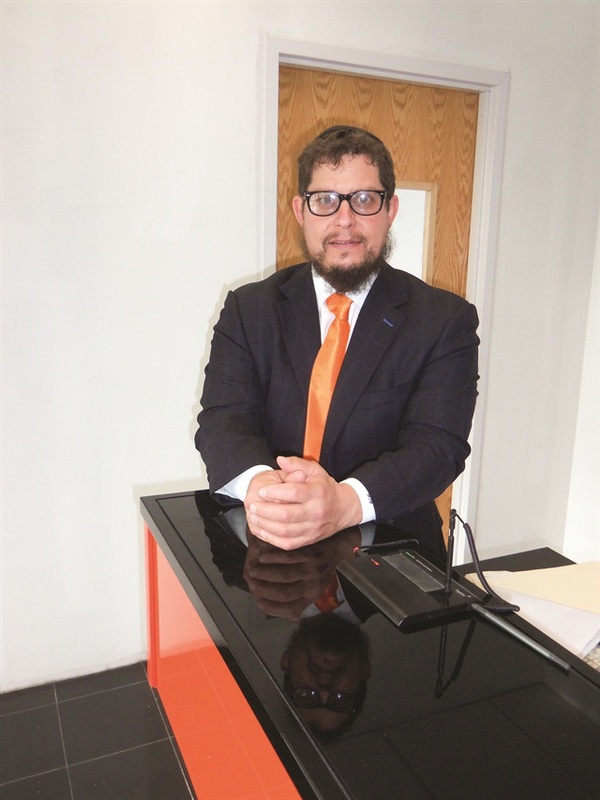 Sixt’s innovative marketing methods stood out to Michael Black, owner of three car rental locations in Western Massachusetts and Connecticut. As the Internet started to dictate marketing and reservations, his company’s long-time method of converting telephone calls to reservations was becoming obsolete. Pablo Gotelli liked that Sixt’s mission wasn’t only about renting cars; it was also about focusing on customer service. After renting a car from Sixt in 2012, Gotelli was impressed with Sixt’s overall experience. A year later, Gotelli opened a Sixt franchise at the Las Vegas airport — with plans for his second Sixt franchise to open at the San Francisco airport soon. With a finance and investment management background, Robert English wanted to take a chance in the rental car industry. When exploring the franchise route, English — and his two partners — identified with Sixt’s vision of expansion. By joining the Sixt franchise network, English hopes that his San Diego location is just the start to eventually expanding throughout Southern California. Andrew Almand (left) and his chief operating officer (Daniel) stand in front of their new Sixt franchise in downtown Austin. They are planning to open three to four additional Sixt locations within the next two years. To Almand, the switch to Sixt has been a dream come true for his rental business. Through Sixt’s support, his Austin franchise has updated its software and reduced its use of unnecessary paperwork, as well as renovated its store. Family-owned VERC Car Rental will open Sixt franchises in Massachusetts and plans to open another Sixt location at Boston Logan International Airport this summer. Jack Vercollone (left) is pictured with his business partners, son (John Paul) and wife (Paula). At his current Massachusetts stores, Vercollone plans to keep the same team of employees and learn the Sixt way. This includes changing its name to Sixt and redesigning the offices to the Sixt look. But when his company opens its airport location in Boston, Vercollone said he will hire a new team of employees and implement the Sixt business model from the start.